His debut release, 'Pum Pum' / 'System Malfunction' on Diffrent Music, immediately caught the ears of the great and good of the electronic music world with it's discombobulating rhythmical patterns and clever fusion of multiple genres. Support came from DJ's as diverse as Toddla T, Sam Binga, Alix Perez & dBridge amongst others, with the latter releasing two of his collaborations with Manchester's Chimpo, 'Bun It' & 'Dumb', on Chimpo's 'Out An Bad' EP a short while later. Following on from the success of these initial tracks, he was tasked with writing his first solo EP for dBridge's hugely respected, taste-making label Exit Records. The 'Throwback Therapy' EP was released in May 2015 to much acclaim, with the 4 tracks demonstrating the wide ranging influences and artistic flair of their creator. He has since become a flagship artist for the label, with his follow up 'March On' EP and work as part of D&B supergroup 'Richie Brains' garnering praise from critics and fans alike. November 2017 sees the release of his biggest and most ambitious project to date, the 6 track mini LP 'What Goes Around'. 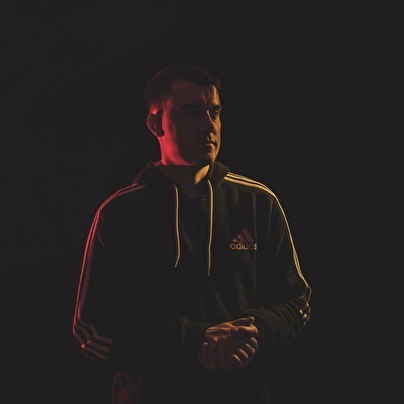 With 4 solo cuts as well as collaborations with Dismantle & Skeptical, it builds on everything that has come before and cements his reputation as one of the most exciting young talents in UK bass music today, whilst he continues to hone his already impressive skills as a DJ for both Exit and events across the UK and Europe.